San Francisco bay-area band Grampa’s Chili which got its start in the early ‘90s has been re-energized recently and the group is ready to tackle the music industry in 2012. With a full-length album in the making, plans to travel around the west coast and a new vision in sight, the men of Chili seem optimistic about their future and grateful for the music that is still played today. For 20 plus years, Grampa’s Chili went through lineup changes more often than baseball teams go through pitchers. But, over time two things have remained constant – the memorable songs which still leave lasting impressions in their fan’s hearts and an amazing energy that is created on the dance floor every time they play. 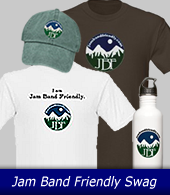 Early on, the band knew that pairing with other acts in the jam scene was beneficial to creating a tight-knit community that helped attract crowds at their shows. Bands like The Blissninnies, Old Dead Bug and Corduroy Jim have been teaming up with Grampa’s Chili and they are all thankful for the relationships that have been created and the history that they have shared together. Singing for the band is Mike Boston who has great stage presence and is amazing front man. By the nature of the music, long jams happen frequently and Boston is eager to go with the flow when following along with the music. Boston, who has been with the band from the beginning is one of the main voices for Grampa’s Chili. On drums is Michael Palladino who has also been with the band since its inception. Palladino hits hard, he sings like a pro and is the backbone of the band. He’s also easy to talk to, has a big heart and wants nothing more than continued success for himself and his band-mates. Playing bass for Chili is Jerry Brown who is arguably one of the best bass players in the entire bay area. Brown’s tone is huge, his creativity is unique and his lead lines are full of melody and drive. I was completely surprised at Brown’s playing ability recently and it was a treat watching him weave in and out of each song. On lead guitar and vocals is Tom McQuillen who isn’t as aggressive as his counterpart, but definitely eloquent in his solos and style. McQuillen is committed to everything he sets his sights on and is a driving force in the community. Playing keys for the band is Steve Hunt who doesn’t need any introductions if you are a part of the Santa Cruz music scene. Hunt has been hosting grass-roots music festivals at his sprawling property in the Santa Cruz Mountains for years. He’s also a bay area musician and one of those guys who pour’s his heart and soul into everything he does when giving back to the jam community. Also on lead guitar and vocals for Chili is Victor Manning who arrived to California in the late ‘80s, but didn’t waste any time fitting in. Manning plays hard and shreds with his instrument through every song. He and I spoke before his show at Moe’s Alley in Santa Cruz on May 3rd. I learned about his history with several of the bay area bands and what his plans are for the coming year. Manning has learned from his experiences over the years and is carefully planning his next move. It must feel great to have a new album on the horizon and I am sure the guys are feeling it too. It’s possible that Chili fans these days have moved on or are embracing something new. But, with a lot of hard work, the band has the power to bring it all back with a fresh and new take on many old and memorable songs. 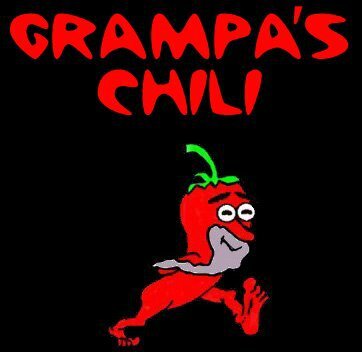 Look for Grampa’s Chili in the coming months as they release their new album and announce their upcoming shows. It’s been a while since I saw you and the band perform. Probably the most recent show was at Steve’s for a Hoedown Festival or Chilifest. What’s the mood and feeling tonight amongst the guys in the band? This is an interesting evening since the gig tonight was booked kind-of last-minute. We are all coming down from whatever we have been doing during the day - work, life and just getting to the gig. At the same time though, we have been doing a lot of work on our own and in the studio with recording a new album. So, we are psyched to get out and play more. Tonight is the first of hopefully a bunch of shows locally around the bay area as well as the band traveling to the northwest through Oregon. We want these songs played for the west coast communities to hear in sync with the release of the album this summer. Sounds like a full length compilation, is that true? It’s going to be 10 tunes so you might say that. The album has been taking a while to make because we are learning so much about each other and our music, which is what a recording always does. It forces you to really listen to what you've been playing, and to reach down deep to capture the best performance you can. When we perform, we get to hear and share the results of our hard work, so we're all really psyched to play. You recently joined Grampa’s Chili, however, you go way back with a lot of the guys here tonight. Talk about the last 15 years and the different bands that you have played with. Jerry the bass player and I both started Blissninnies in 1990 and began doing shows with Nick Chargin who is playing keys tonight with Corduroy Jim. Over the years, we played shows in Santa Cruz, Santa Clara and San Francisco and began running with some of these folks. 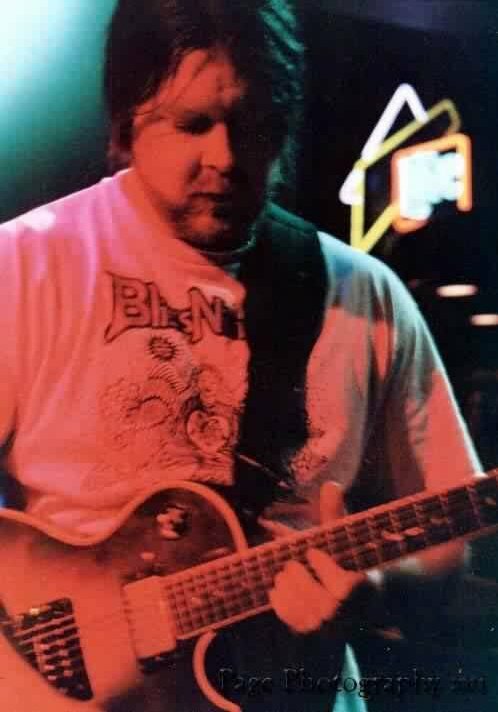 In 1993, our band met “Chili” and we were very intent on creating a collaborative environment for bands to work together and function as a tight-knit community. The hope was to bring larger audiences to the shows towards a common goal of building our fan base, as well as reducing the workload by sharing a back line, which allowed us to melt one band into another. We weren’t really competing with each other as much as we were competing with the other acts that were getting a lot more attention. If anything, bonding together was one of the best things we could have done as people who were there were also expanding their own community and feeling like they were a part of something really cool. What about high school Victor? Where did you come of age and what bands were you involved with at that time? In high school, for better or worse, I was fortunate that one of my best friends had access to a huge collection of eclectic music - German prog and fusion bands, such as Amon Duul and Guru Guru, early electronic artists like Tangerine Dream and Klaus Schulze, as well as some great English folk artists like Fairport Convemtion, Steeleye Span and others. Getting exposed as a teenager to this stuff caused me to reject most of what I heard on standard Texas radio, where we were bombarded with southern rock, hair bands, etc... Today I like a lot of the bands I hated in my youth as my ear has grown to appreciate them. I hooked up with another friend who was teaching me how to play tunes by Yes, Rush and Prog bands not just note for note, but string for string. That period helped me learn to apply the theory I had been learning in school with songs that I knew and liked, rather than Bach fugues or something. As much as that helped me develop my ear and my chops, seeing Jerry Garcia play in Houston in 1981 turned a lot of that on its head. Whereas I had been hearing jazz music probably since the day I arrived from the hospital, I had not really seen or heard improvisation and how it allows a musician and a band to interpret a passage, a song, or even a whole set on the fly with as much fluidity and ease as seeing the Grateful Dead that night. Later I attended North Texas State studying jazz guitar with Jack Petersen, then later attended San Jose State studying composition and electronic music before starting up Blissninnies in 1990. 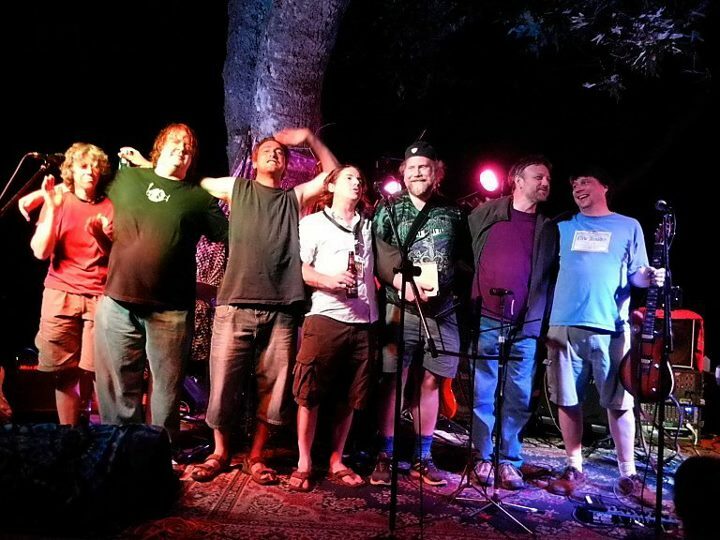 The New Almaden Music Festival has always been a great, community event. Actually, I played it one year with Ron Tomasello and “The Good Life Rhythm & Blues Revue”. Yes, that was started by Tom Mcquillen our other guitar player. His partner Rachel is suffering from MS and they put on the show to fund research and finding cures for the disease she has. They live down there and bring people together to donate money to their cause and raise awareness of new, innovative approaches to treatment. The show is happening this year on August 4th. It seems like “Chili” has been reborn or re-energized this year. Well, Grampa’s Chili has had so many lives and incarnations. I have been fortunate to witness all of the different conglomerations starting with Soup. What is cool about the band is that the people who have come and gone brought their music to the group and then left it for us to continue playing. We have a huge repertoire of those songs that were added over the years. That adds a lot of diversity and variety to our music since everyone has contributed to the writing of the music at some point or another. The players who are left get the privilege of interpreting those tunes and making them our own. So the band has gone through a lot of fazes; I was even at their "last show" when they said,“This is it, we are done, it’s over”. And of course, after that the band just transitioned into the next phase. I feel really fortunate to be a part of this latest period because the band is finally doing a studio recording which is producing a higher level of quality in our shows, our own musicianship, and in our sense of what we want to accomplish in the near and longer term. So, the album is coming out and you have plans to travel a bit. Is it the hope to push hard and make a name for yourself? There’s a certain realism about what we are doing. It’s expensive being a touring band in terms of money, time, and energy. What we are really doing is trying to get some of the music that we have been performing all these years made available to a larger audience while working in a brand new music industry environment. What I’m finding is that changes are happening from year to year. It’s completely different than it was 12 months ago in terms of tools, technology and the way people find new music and new bands to see live. I have avoided the way of going “old school”, piling people in a van and hoping for the best. We have all played to empty rooms, largely because we're musicians, not marketing experts. A lot of great bands have come and gone by falling into the trap of playing out as much and as often as you can. The main thing is setting it up so that we can play music for people fairly regularly, still have time to work on our music to become better musicians, writers and artists while keeping it within all of our daily commitments – namely family and day jobs. Right now we want to build a regional audience that is bay area for the most part including as far as San Luis Obispo and up to Arcata. Marketing is most important and we live in a world where social networking is a household concept that really helps as far as connecting with and building a fan base. Still, it’s a plan that changes all the time because the whole situation is changing all the time. It’s really important to learn to do this so as not to burn out, because that’s easy to do, especially as you get older. It’s one thing to believe in the dream, but we also have to be smart. To have this much music at our fingertips is a dream come true. We have a history, a whole bunch of great songs, so it’s not like we are starting up with nothing, which I think would be a lot more difficult for us at this point. After tonight, you head to The Conneticut Yankee in San Francisco. Yes, and by summer we will be playing in support of the new album playing with other bands and getting the word out. The music is done, all that’s left is the packaging and design before it’s available to the public. We’ll do a digital release and then when the cover is done, we’ll do a run of cd’s. So, everything is going well for us at this point. Congrats on the album and an amazing run over the last 20 years Victor, have a great set tonight.